Almost three years ago, one of my favorite friends and mentors had a baby boy. His name is Colin, and he has always been one cool cat, even at seven months old when I first blogged about him. Because it’s been a few years (no idea how that happened), I asked Colleen if I could interview her again – this time, about about motherhood, wifehood, babyhood, toddlerhood, and what she would say to a new mother who receives the same diagnosis for their baby that was given to Colin. Colin is a measured performer and a quick study. He can figure out what makes you laugh and then milk the situation before you even know what’s going on. I asked Colleen what Colin’s personality is developing into, and what she sees in Colin of herself and her husband, Chris. “Reading and entertaining rank high for Colin. Book was his first word. I think he would spend the entire afternoon being read to, if he could. And while you are reading to him, he will inevitably make a funny face, snort or try to get you to smile – that’s the entertainer in him. He’s a huge fan of Louis Armstrong. 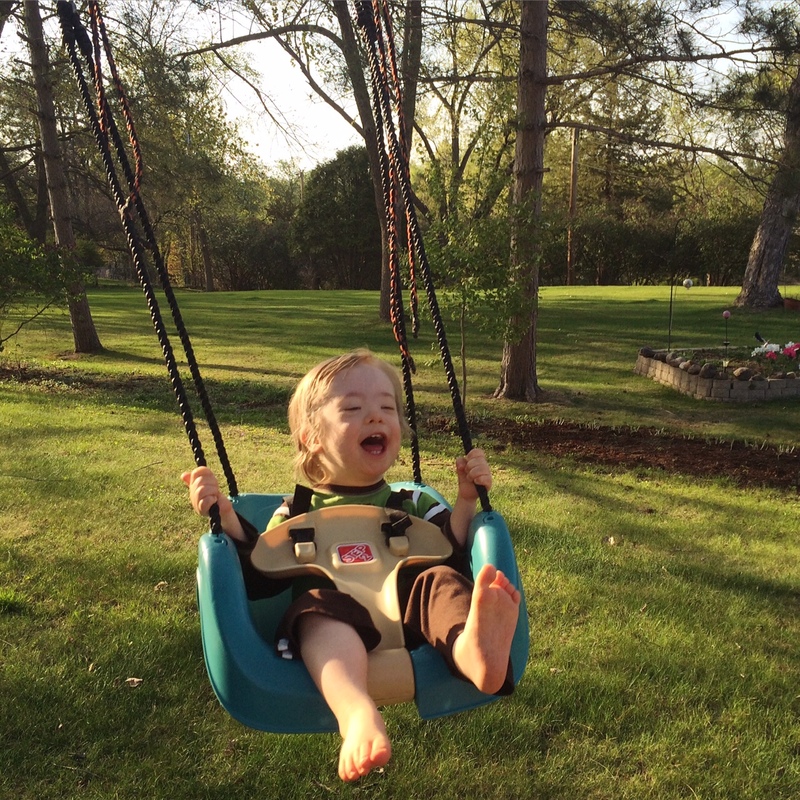 And he loves to swing, be surprised,” [Interjection from me: it’s true – he loves to be surprised. Whereas I’d probably cry and pee my pants a little, he just laughs. ], “sing along to any number of songs, and play ball. He throws better than I do. As a nearly three-year-old, Colin walks, runs and takes exuberant leaps off one of the chairs in the living room (which has since been turned around to face the wall as a preventative measure). He’s also one of about 400,000 people in the U.S. living with Down Syndrome. The original diagnosis was an admittedly scary and difficult one for Chris and Colleen. They received it moments after Colin was born, and they weren’t sure how to react. True to form, they made it through the initial tumbling and came out smiling on the other end. Knowing what she and Chris know now, I asked Colleen what she would say to new parents of a baby with Down Syndrome. “Recently I read something that really rings true, so I’m going to steal the thought. If you were to go to a new parent and tell them all the things that would go wrong in their child’s life – like, when they are six months old they’ll get really sick and you will be up with them for nights on end trying to figure out what’s wrong. Or at seven, they’ll fracture their arm jumping off the bed. Or their best friend won’t be their friend anymore when they’re 11, and it will really hurt their feelings – If you told a new parent all the bad things that would happen in the future, instead of helping them be overjoyed with their new child, they would be scared to death. How can a mom protect her kid from that? But that’s not how it happens for most new mothers, thank God. Colin’s first selfie. JK, mom took it. “Go easy on yourself. In the beginning you can become delusional due to lack of sleep. Everyone will say ‘sleep when the baby sleeps.’ If you can do that, great. If not, then do what you can do to relax. I couldn’t sleep when he slept, and I beat myself up for it over and over. Find a small group of people you trust, who will listen and talk with you. Thankfully, I had a handful of people who would answer the phone or text me back at 3 am. Remember that someday these people are going to need you to return the favor. If you don’t have a doctor (or occupational therapist or physical therapist) you trust, then get out of your current relationship and find a new one as soon as possible. And don’t be embarrassed to do it. Take time to allow yourself to welcome this little one into your home. This baby needs the same things from you any other child would need. Surround yourself with the people who look at your child the way you want the world to look at your child. Remember that people mean well. Really. I’m sure I said some stupid things to new parents when I didn’t really know what being a new parent meant. (They either forgave me or were so tired they weren’t even listening.) People will have opinions about your child and what you are doing/should be doing/shouldn’t be doing, and so on. That’s ok. They want to support you any way they know how, and they probably have no clue what is going on in your life. So listen, say thank you, and then call someone in the group from #2 to talk about it. 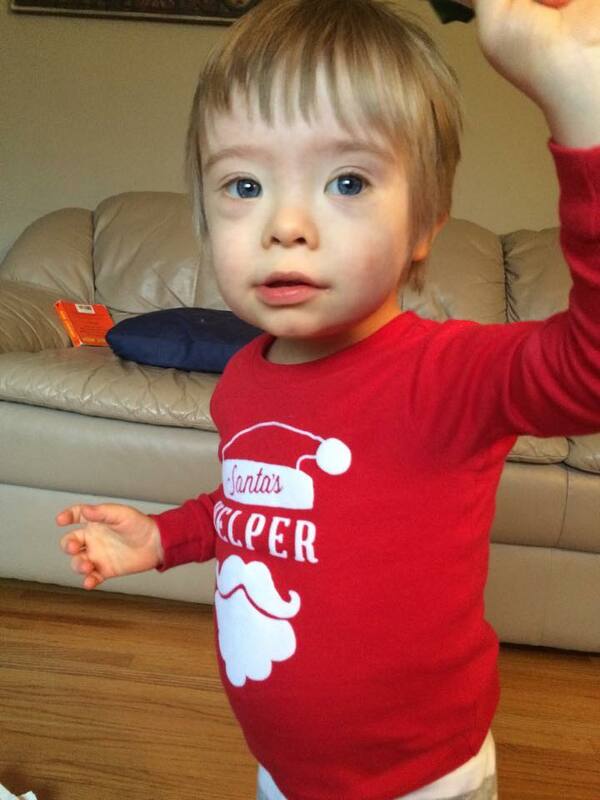 For the proud new mamas of a child with Down Syndrome, you may want to run and hide right now, and it doesn’t feel fair. But once you come to terms with reality, just know that the child in front of you will blow your mind someday soon. Their capacity to reach their goals is the same as any other child when given opportunities and support.